1. The Darkness are a hard rock band which formed in Lowestoft, England in 2000. 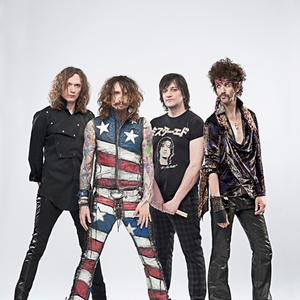 The band consists of Justin Hawkins (vocals, guitar, keyboards), Dan Hawkins (guitar, vocals), Frankie Poullain (bass) and Ed Graham (drums).